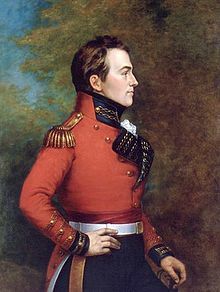 The Isaac Brock Society is a direct response to the Obama administration’s criminalization of innocent expat behaviour. Helen Burggraf has written a great article in International Investment, telling our story. @Patricia Moon, it was the information and sources and actual experiences posted here that showed me that I could opt to make a change in the path I was on, and IBS got me through it. I also knew enough from religiously reading here at IBS and had researched enough to ask informed questions of the lawyers I spoke with, and make best use of the hours I was being billed for – or at least for the times I had to directly ask questions or make decisions as to how to proceed. IBS info and research helped me avoid several significant errors made by their tax preparers on my first FBAR, and on several other returns and forms – errors which could have caused significant grief and further costs and needless extra complexities for me (ex. the US tax law firm’s preparer entered me erroneously on one form as a US resident – and the enrolled agent and US homeland lawyer who was supposed to have vetted the submissions before I was sent them to sign did not catch any of the errors) and I was able to direct the accountant on how to complete my 8854 and catch errors they made there before signing and submitting it (ex. one important save was due to @LM’s hubby’s explanation here of calculating the value of a pension I hadn’t even received yet). And IBS was of invaluable aid and support when I was dealing with the TAS, and other IRS agents. The US Tax compliance industrial complex should also acknowledge that lots of this is actually undefined, or are codified in written or unwritten IRS policy and practice which they don’t/won’t share with us. 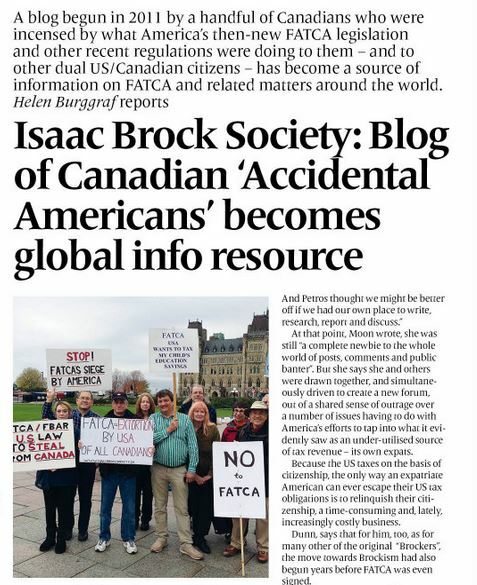 And doesn’t it seem kind of ironic that we now know more about FATCA and the US extraterritorial tax system than the Canadian politicians who exercised their powers in voting for and passing the FATCA IGA enabling it here in our sovereign home? You obviously left no stone unturned to get the correct numbers into your final filing. When it came to the 8854 my haphazard hubby just attached a note saying he wasn’t sure if CPP and SS should be included in Column A (he did not do the other columns) and then he listed the monthly amounts each of those entities had given him to expect. At that time he hadn’t applied for any pensions and he didn’t think he qualified for OAS so he didn’t mention it (turned out he did qualify but the monthly amount was a mystery until the first cheque arrived). So if 8854 needs perfectly dotted i’s and crossed t’s they didn’t get it from him. So far (much knocking on wood) he hasn’t heard a peep back. (It’s been about 3 years so maybe they’re waiting to pounce on him just before the SOL runs out.) He hasn’t applied for SS yet because both of us are very leery about any US contact. I’d rather struggle through our remaining years with only our much less than maximum CPP and OAS cheques but I don’t think hubby is too willing to endure that much austerity. Yes, one should definitely take their time – even with the current IRS Commissioner’s threats, like a previous, that if you don’t enter the tax system soon the IRS may be left with no choice but to punish you within the full extent of the law. The more murderous the threats of the IRS, the more time one should take before entering their system. This drove me nuts during the 2014 FINA meetings. Those MPs with US persons in their families presumed that filing on a small-scale was all that was involved when nothing could be farther from the truth. I would be willing to bet most, if not all, were not filing properly. Yet the really smug ones (esp Keddy) had to take it farther with their snide and nasty attitudes, repeating ad nauseum that the U.S. had its rules, it had the right to make those laws etc. “I’ve never heard the term American person before; you’re either an American citizen or you’re not an American citizen.” He didn’t even read the IGA. He didn’t see that there was nothing required of the Americans, Canada stuck with all the costs, all the compliance requirements, etc. I DO think Elizabeth May, Murray Rankin, Nathan Cullen,Scott Brison, Ted Hsu, Charlie Angus, Peggy Nash and Mike Sullivan “got it.” And some of the senators did as well. But the Cons were rooted in their sense that the over-riding reality was the effect on the banks and that was that. Politicians of no substance, just like the Americans. Propped up by compliance folks. Totally ignoring Lynne, John, Allison and Cockfield. I still cannot for the life of me figure how Canadian citizens living in Canada automatically must defer to the U.S. regardless of taxing based upon citizenship, the Tax Treaty and all of it. I remember they learned from us that RESPs and RDSPs were taxable by the US, including the portion contributed by the Canadian government (directly, the Canadian people).I remember Erin O’Toole talking down to me (Twitter) saying it was obvious I didn’t understand what was involved in FATCA.. (Grrrrrrrrr). The overall attitude was “it’s no big deal, just information sharing, did not involve new taxes, etc etc.” I don’t think any of THEM were looking at the possibilities of having their identities compromised by a lack of data protection; they weren’t looking at THEIR kids being stuck in this miserable system because it’s assumed having US citizenship is such a wonderful advantage, why would anyone worry about it being imposed. Especially kids who cannot renounce because they cannot demonstrate the requisite intent. What are those parents supposed to do when the system won’t let them out? They weren’t looking at THEIR assets all stored in the records of the IRS/Treasury Dept, paying thousands of dollars to get out (esp for families doing it together). Paying tax on the sale of THEIR principal residence. And worst of all, having to pay an EXIT TAX on assets and money all earned in Canada, having left the US decades ago. Having THEIR non-US pension being treated as paid out, with tax due immediately. The people stuck with that must be so angry. Above all though, was how easily they misled everyone into thinking that this was nothing new, info sharing had been going on forever etc. Sharing info on interest earned by US people temporarily in Canada is hardly the same thing…. Brian Ernewein in particular comes to mind here. He should know better. And Prof Cockfield defined it very well- what FATCA required was much, much more and much more invasive. I still find it interesting that the reaction in the Senate was at least initially, much different from that in the HOC. And at least some of those involved in the Oversight Committee (can’t remember the correct name for it) looking into the privacy issues……..thanks to Elizabeth Thompson and MP Dusseault. Well, at least the original purpose of Brock managed to evolve into something we could use……it was so clear that just accepting what was said WAS NOT and COULD NOT be a realistic way to approach it. And we’re still here! Just two days ago I read on a laywer’s site that due to the Mutual Assistance in Collection Article in the Treaty, Canada would have no choice but to collect on a dual citizen should the US request it. Anyone involved in this for a while knows this is not true (as long as they were of the second citizenship at the time the tax was due). It made me wonder if the same was true of the other countries with the same agreement; I was told Denmark protected their citizens but what of France, Sweden & the Netherlands? Took all of about 15 minutes to locate and find out. I wonder why it never occurred to anyone to do this earlier. Now we can spread that information to those are worried, etc. This is what I love about Brock and why I still enjoy doing this. I am always glad we have you because no one knows the citizenship side like you do. And you’ve built connections with the State Department to get at the root of things, etc. Somehow, we all manage to balance each other and I seriously believe our efforts are unique, given we are at the beginning of a huge shift between the haves and the have-nots, the ones concerned with power and control, etc. When I tell people we are suing the government, that the little guys raised nearly $600k, they are always amazed. What we are doing, matters. Another one here to say thanks to Petros and everyone else who make IBS what it is. While my problems with the US were insignificant compared to many others, it was still the support I found that helped me not to worry needlessly. Questions asked were answered, advice given freely and without the snide comments that can sometimes be aimed at newcomers to a website for asking what seem to be stupid questions to oldtimers. All of the above were and are a blessing. Thanks Brockers. I know this is off topic, but I think a few Brockers will find this interesting. Thank you for finding this video. I’ve been reading about this new litigation filed against the Canadian Government by Rocco Galati. Paul Hellyer has been warning us for years about this terrible CETA which will completely block our way to a return to the Bank of Canada acting as a bank for the people of Canada, not the international banksters. Rocco Galati skewers Sonny’s Ways at 34:34…. “I don’t think this [Trudeau] government is any better than the last government [Harper's] in caring what citizens say about their agenda. Did you see this CounterPunch article? Just like FATCA has produced compliance condors it appears CETA plus TPP, TTIP and TISA will produce conflict condors. Corporations and their condors will rake in billions from governments and therefore taxpayers as a result of these trade agreements made without public input and parliamentary scrutiny.